The annual Abingdon Air & Country Show is held on the historic former RAF Abingdon, now Dalton Barracks, in Oxfordshire. The air show has developed over the last few years into a noted opening event in the aviation calendar. Profits from the show are donated to charity, notably the local Air Ambulance which covers the Thames Valley and Chiltern areas. The flying activities are complemented by a static display and a fly-in. This year the static display included a Merlin from nearby RAF Benson, a RNLAF PC-7 and a Polish Navy M28 Bryza. 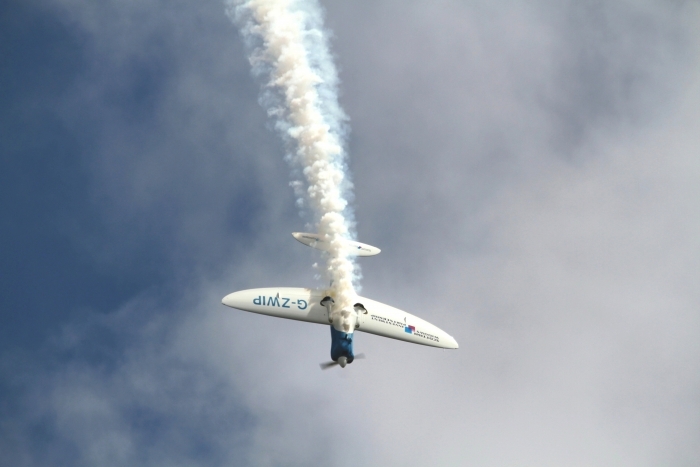 In addition to the aviation content, the show provides a wide variety of other activities adding up to a good families day out. Attractions around the showground ranged from Irish dancing and various animal and bird displays, through vintage vehicles, steam engines, and military re-enactments, to Ex military vehicles and the opportunity to take a tank ride. The show was opened by the departure and a slow flypast by the based air ambulance. Next came Will Hilton in the Silence Twister. His performance was particularly impressive because it was his first public display. 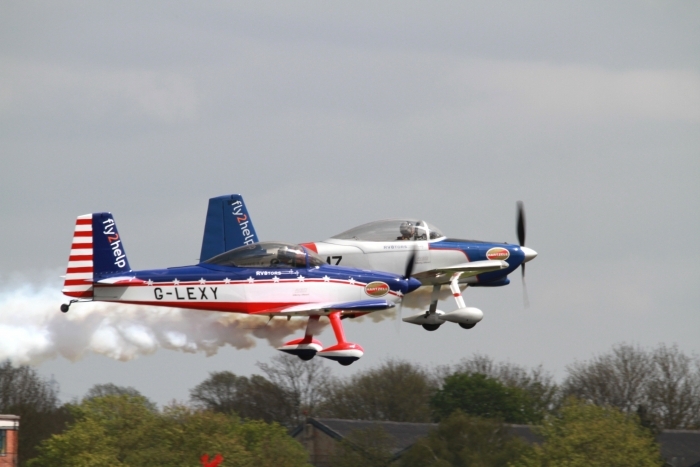 The next item was a polished display of graceful close formation aerobatics by the RV8tors Display Team in their Vans RV-8s. The first jet display of the afternoon was by a Folland Gnat. 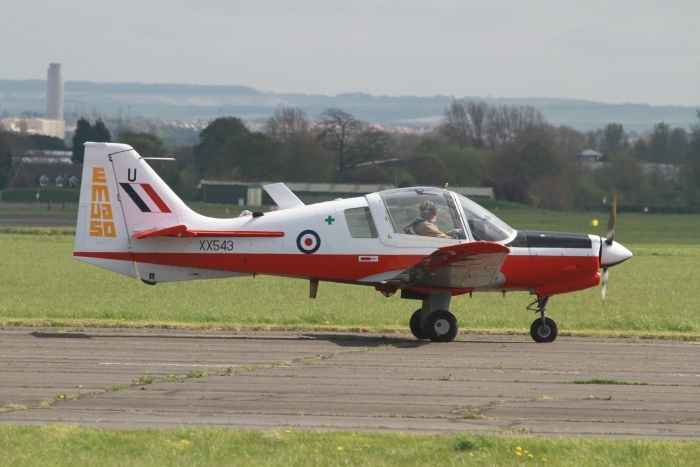 This former RAF advanced trainer, which was retired from service in 1979, is based at North Weald with the Gnat Display Team. 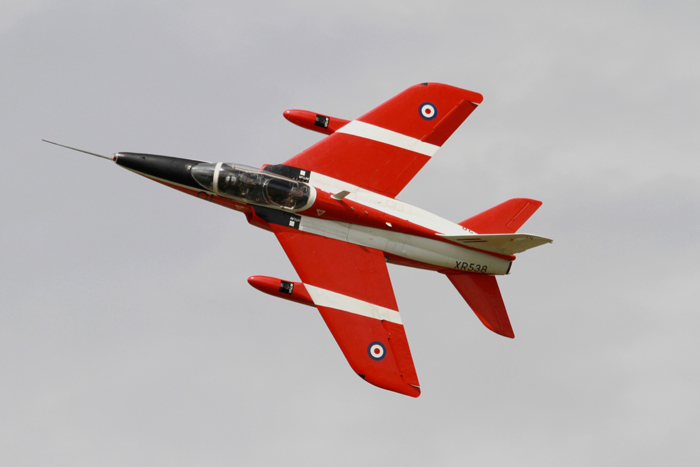 Its spirited performance reminds us that this was the original mount of the Red Arrows. 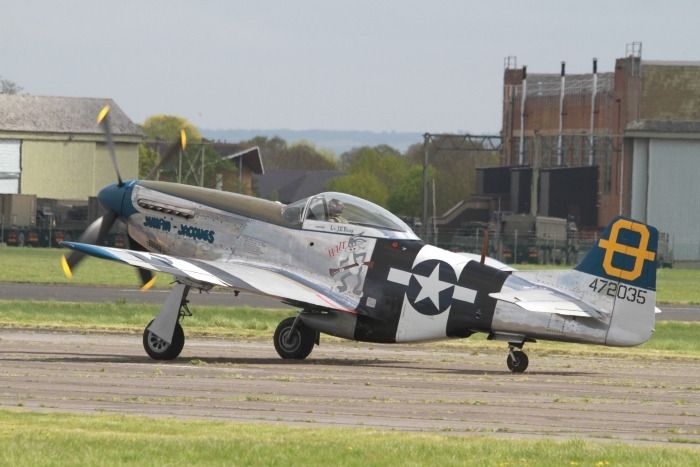 It was followed by another North Weald resident the P-51D Mustang from the Hangar 11 Collection; flown by its owner Peter Teichman. The largest aircraft of the day was a RAF TriStar C2A transport of No. 216 Sqn from RAF Brize Norton. 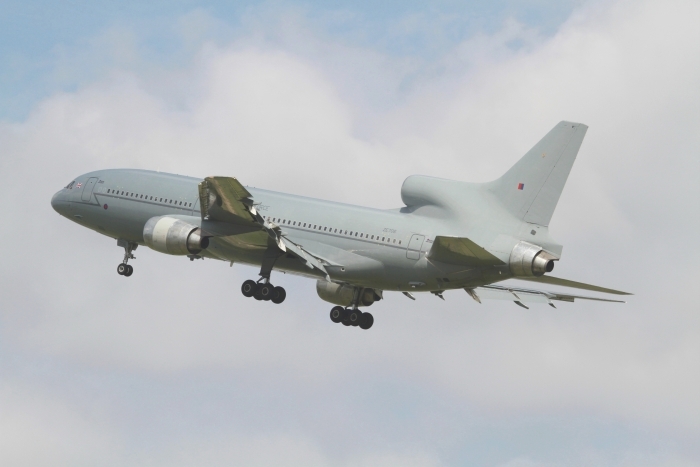 This was one of the last opportunities to see an RAF TriStar at an air show as they are expected to be replaced by the Voyager within the next year. 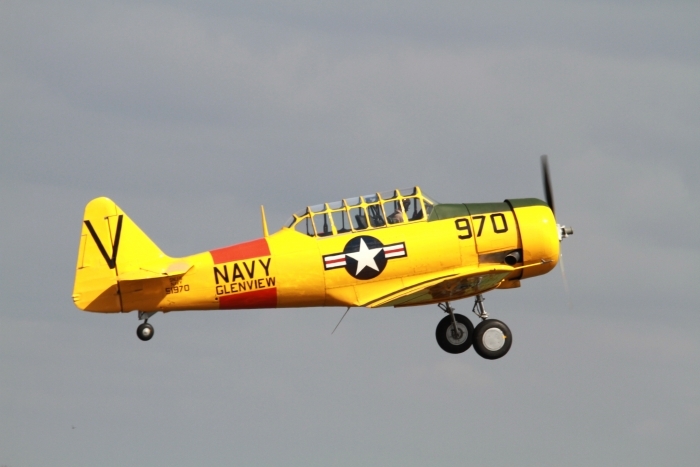 A return to propeller driven aircraft came with the all yellow North American Harvard, a type used to train many pilots before, during and after WWII. The particular example on display is based at Thruxton and was flown by Clive Davidson. Carrying on the prop theme was the North American T-28 Fennec. The T-28 was originally designed as a Harvard replacement and the Fennec was locally remanufactured in France for counter insurgency operations in Africa. The performance that suited it to that role ensures that it is a lively air show performer. The relaxed Bulldog display by Rod Dean was particularly appropriate to Abingdon, as Bulldogs were based here for nearly 30 years with Oxford and London University Air Squadrons. The Hurricane I owned by Peter Vacher and flown by Carl Schofield had a great day, with a superb display. 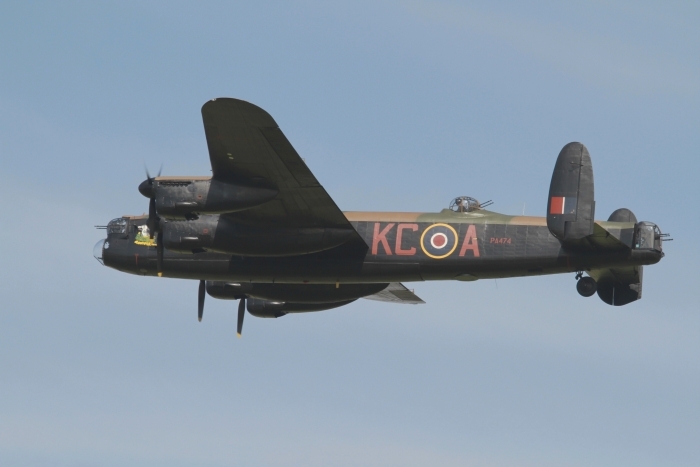 It was followed by the unmistakable BBMF Lancaster which always fills the sky with a memorial display. In this 70th anniversary year of the Dambusters raid, as the Lancaster flew along the crowd line there was fantastic applause from the public. 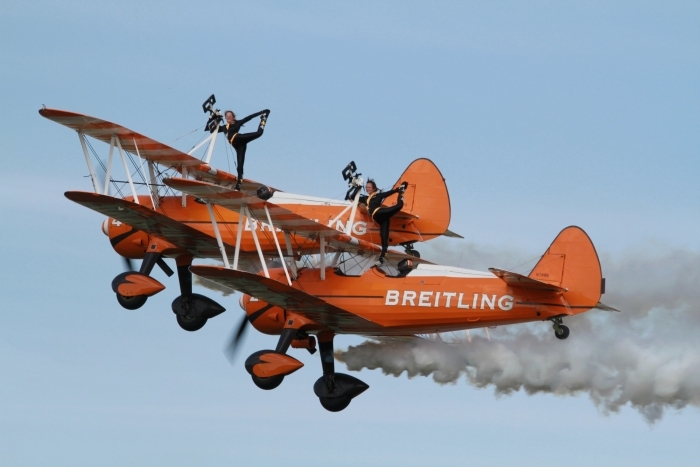 There followed a reminder of the barnstorming days, a pair of Stearman Wingwalkers known as the Breitling Team carrying out tight formations and crossovers. 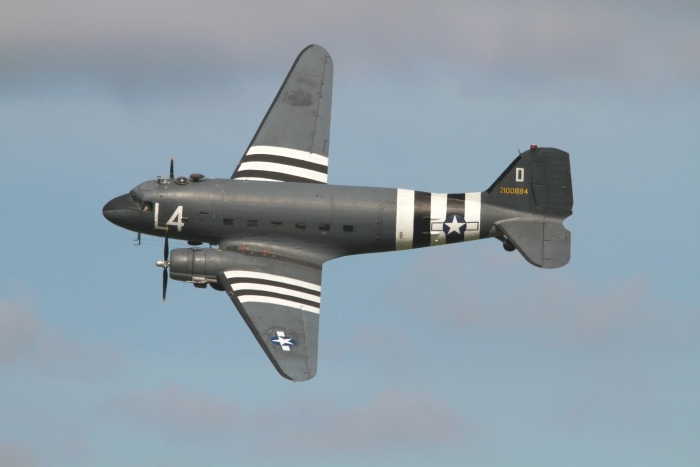 The Dakota C-47 is a true workhorse of military and civilian aviation both during and after WWII and the example that displayed is one of the few still flying in the UK. 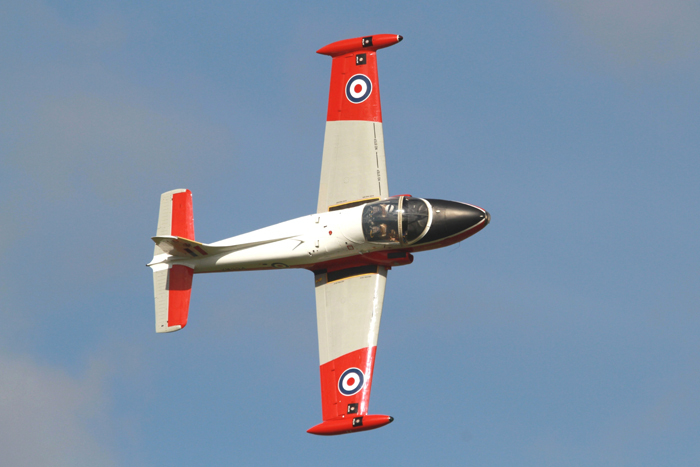 The last jet display of the show was flown by Sqn Ldr Dan Arlett in the Jet Provost T5 XW324; as used by the RAF as a basic trainer until the early nineties. Other jet aircraft that Dan has flown include the Hawker Hunter and the Tornado F3. 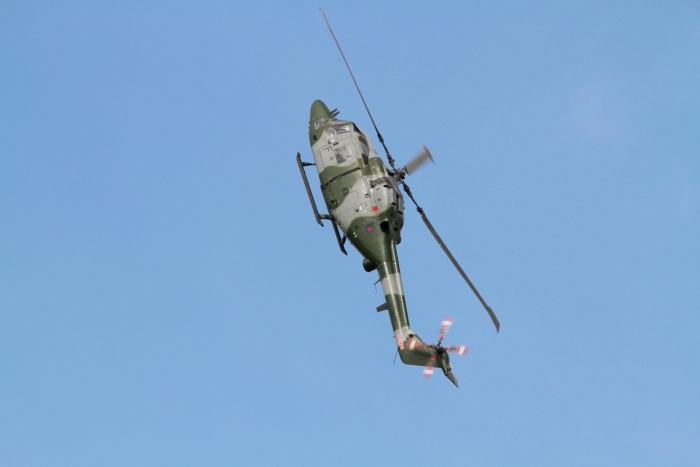 The final display of all was by the Army Air Corps Lynx AH7. This spirited display once again demonstrated the extreme manoeuvrability of this aircraft that has been the backbone of the Army Air Corps for almost 35 years. This was once again a splendid show with super weather conditions; an interesting start to the season. A big thank you is owed to Neil Porter, event organiser, and his team without whom this most enjoyable day wouldn’t have happened.